New FORT-112M on-board unit for commercial transport is already on sale! Home » FORT Equipment » New FORT-112M on-board unit for commercial transport is already on sale! 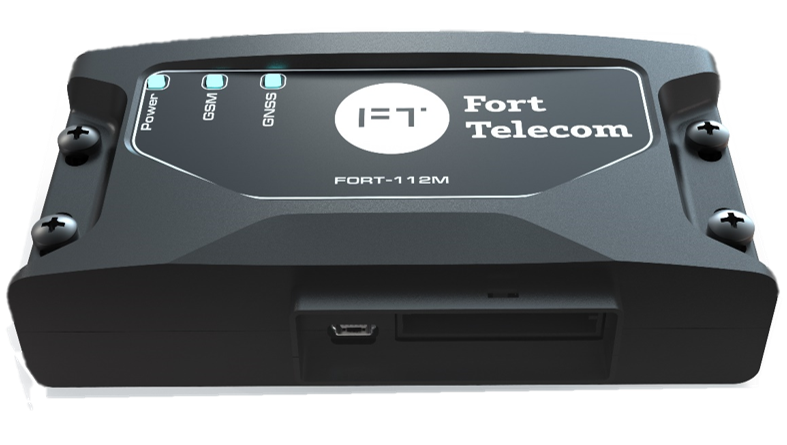 Fort Telecom is happy to present a new model of equipment with built-in antennas, internal high-capacity Li-polymer battery and a full range of interfaces. Fort Telecom starts the sales of FORT-112M on-board units designed to control vehicles and reduce operating costs. The new equipment is an updated version of FORT-111М on-board unit. Based on the requests of our partners, we equipped the unit with compact built-in GLONASS/GPS-, GSM- and Bluetooth-antennas, built-in Li-polymer battery with 800 mA h capacity, which ensures independent operation of the unit for 8 hours, and RS-232, RS-485, 1-Wire, CAN interfaces that can provide connection to various sensors and external equipment. In addition, the unit is equipped with a sensor that generates events with the time and place of opening of the unit housing. FORT-112M can be used as part of various on-board systems ranging from simple tracking systems to complicated systems with a vast number of additional functions. The unit is recommended for freight, construction, agricultural and retail companies.